View tasks added in SmartTask on your Google Calendar. Sync tasks and ensure things don't fall through cracks. With this integration get view your tasks from SmartTask in your Google Calendar. Task with same start and due date will show up as a whole day task. 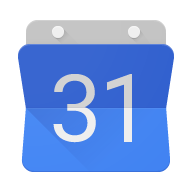 Click on the event in Google calendar to go to task's url. NOTE: This is only one way sync which means events entered in Google Calendar won't showup in SmartTask. Generate Url from SmartTask Apps & Integrations menu. Click the + icon next to Add a new calendar. Paste the link you previously copied into the URL field in the popup window.